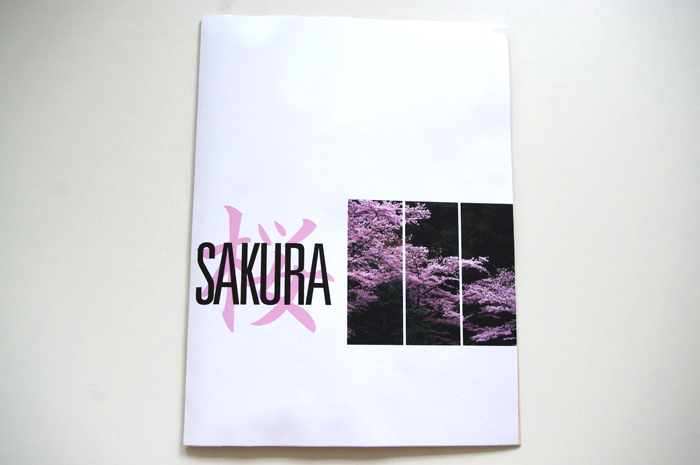 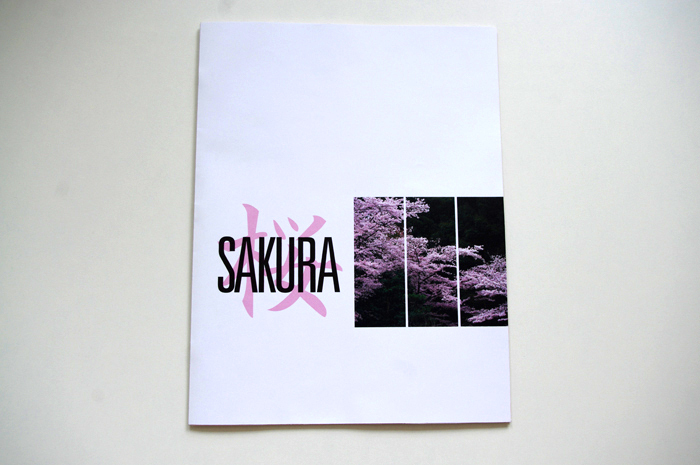 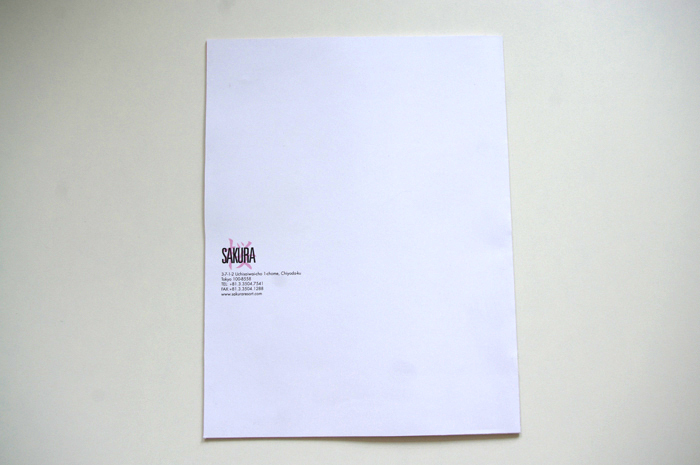 Sakura is a hotel and resort based in Japan. 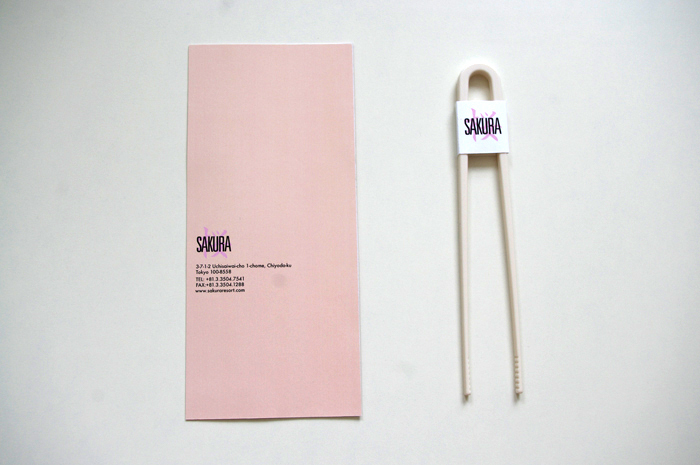 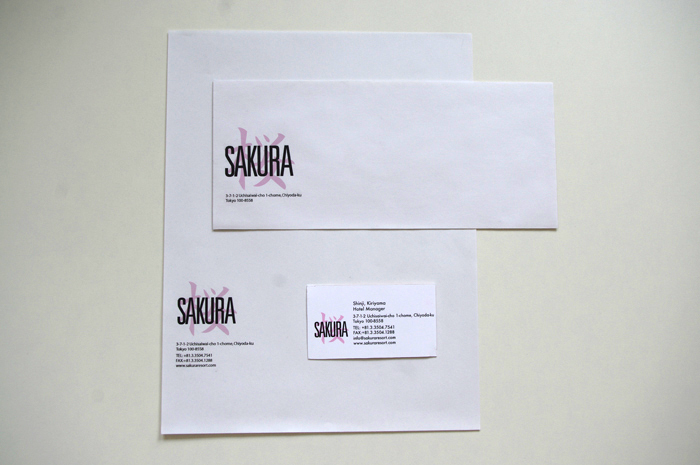 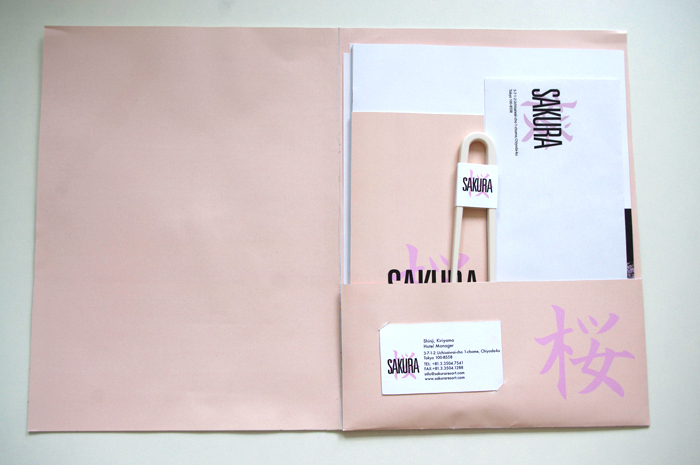 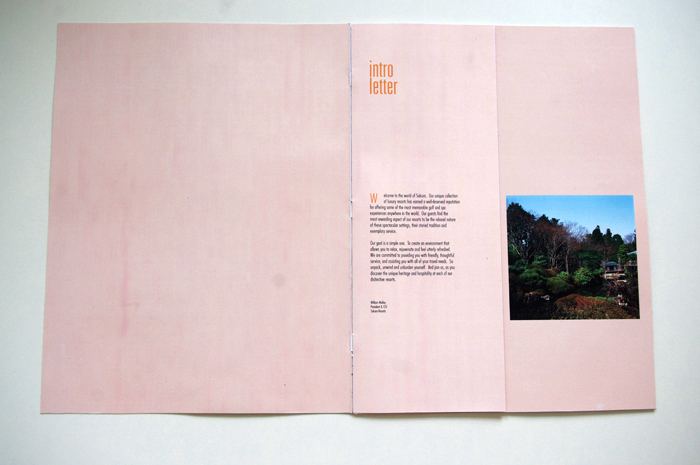 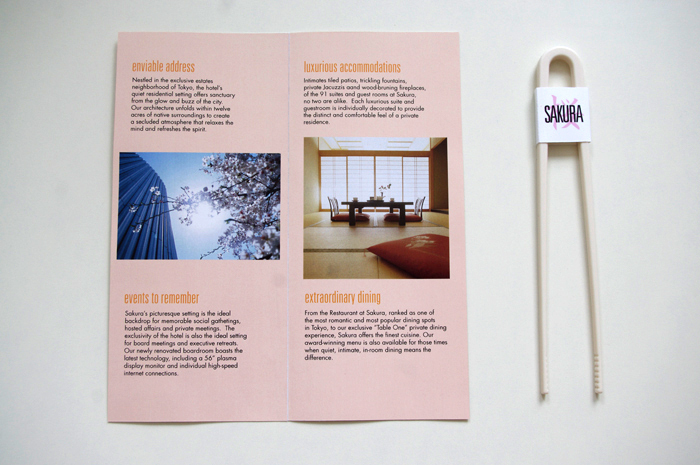 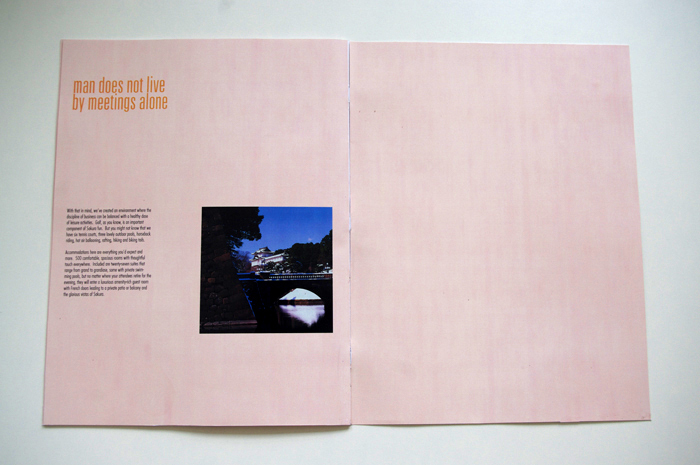 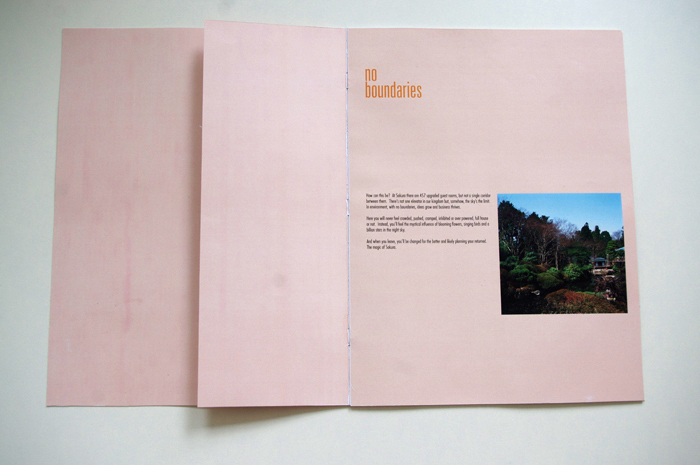 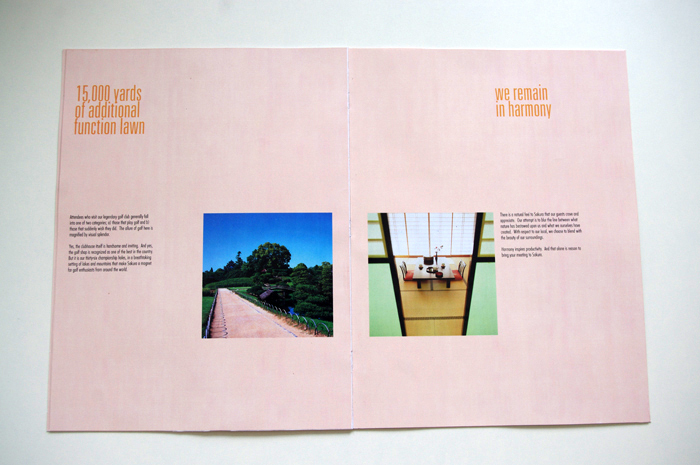 The marketing kit includes a two-panel brochure, booklet, branded stationary and chopsticks just for fun. 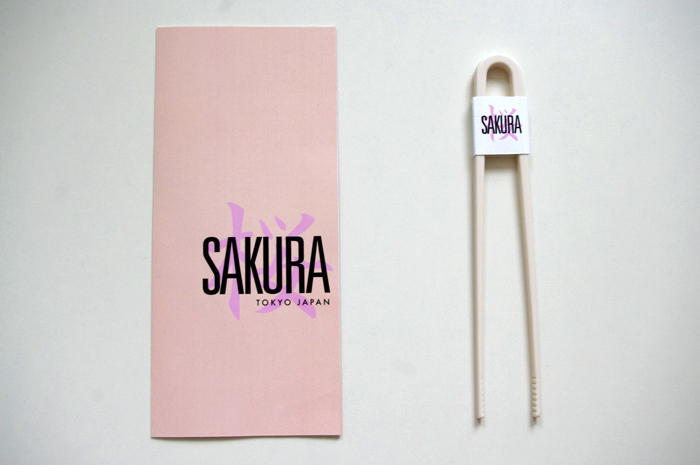 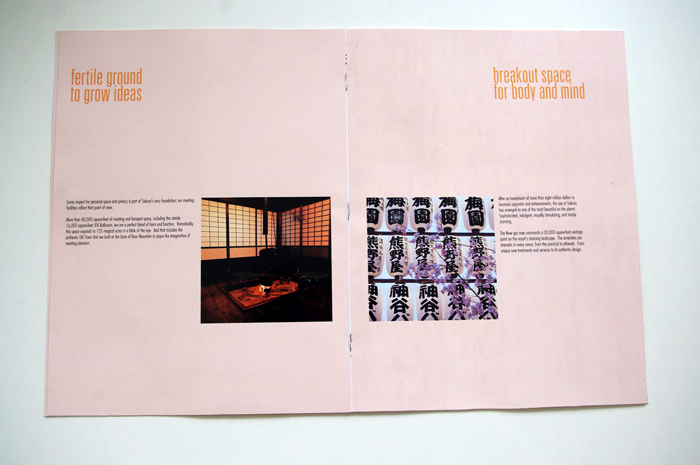 The colors and fonts were chosen to illustrate the hotel’s inviting and relaxing atmosphere.